Location: Check your city listings- there’s a good chance they do this! Do you ever have friends you just naturally start doubling with more and more? We love Brett and Tia, they always know how to have fun, and we’re finding they are usually up for the same things we are! Friday we attended Movies in the Park hosted by the Biltmore Fashion Park in Scottsdale. Basically they play old or classic movies on Friday nights in the fall and spring to celebrate amazing weather. We have never seen “Guys and Dolls” and thought maybe this classic named by many as the musical of all musicals, and thought maybe it would be a good opportunity to go. It definitely was! We loaded up a picnic basket provided by the amazingly creative and crafty Tia. We ordered some Subway subs, and we headed to Biltmore Fashion Park. 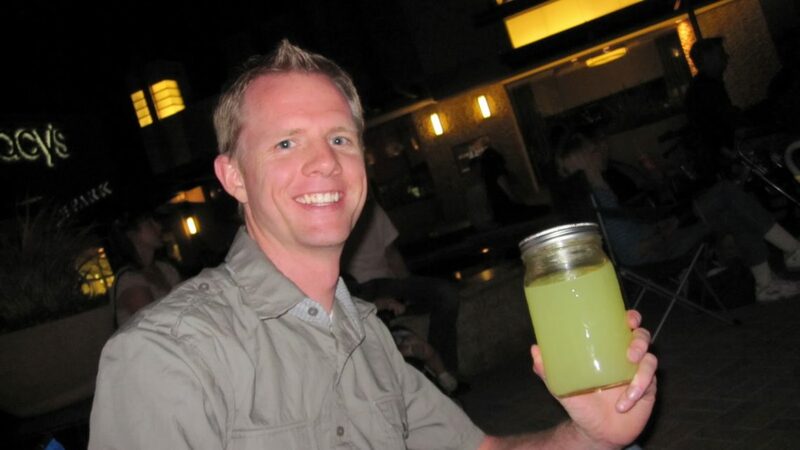 Tia is so awesome, she even made us lemonade in mason jars to add to our vintage date vibe. And there’s something about sharing a drink with two straws together. Don’t these two make it look so good? We also packed some candy for a true theater experience, and enjoyed delicious cookies Tia made. Seriously, if you want to hire someone to coordinate events and make everything from scratch, I can hook you up with her #! Brett’s one lucky man! It’s amazing what some camping chairs, picnic food and a movie under the stars can do, even if you’re not particularly old-movie fanatics.